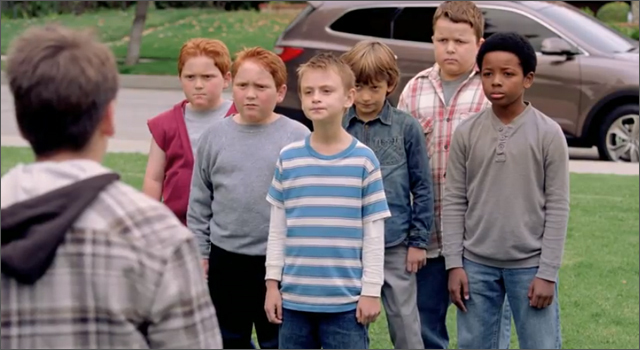 In Hyundai’s Super Bowl spot a young boy recruits his mother and her seven-passenger Sante Fe to recruit a dream team of super kids for a rematch against a group of larger boys. The TV spot is supported by ‘Find Your 7‘, a social experience in which participants assemble a Super Bowl dream team from their Facebook friends, assigning them to a seat in a virtual Sante Fe. A winner will be drawn and will receive airfare, accommodations and tickets for seven people to the 2014 Super Bowl in East Rutherford, NJ. The ad ‘Team’ was created by INNOCEAN USA, and directed by Jim Jenkins for O Positive. The stadium of Argentine football team Boca Juniors, nicknamed ‘La Bombonera’ (Chocolate Box), is an especially intimidating place for other teams to play. Areas of the stadium are known for vibrating and even sway slightly when fans begin to cheer and jump together. Nike Argentina was interested to see if the Boca Juniors’ fans could cause the same tremble at another stadium. 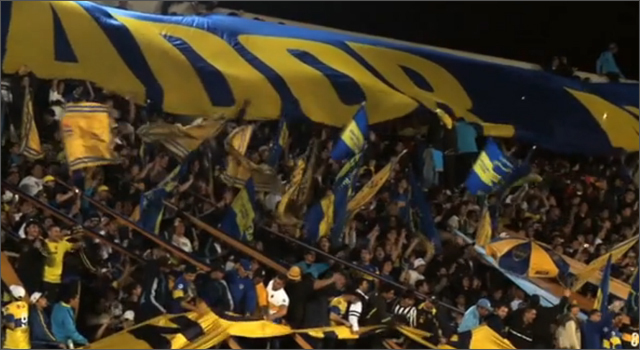 Four seismographers were installed at Estadio San Juan del Bicentenario, home of the 2012 Copa Argentina Final, to measure the magnitude of the vibration that Boca fans might create. During the game, readings of 6.4 and 6.2 on the Richter Scale were recorded after the 2 Boca goals. Boca went on to win 2-1, with the celebration registering an grandstand shaking 5.9. The stunt was created by BBDO with production handled by Sake Argentina. The Belgian Jupiler Pro Football League is set to open their season this Saturday. 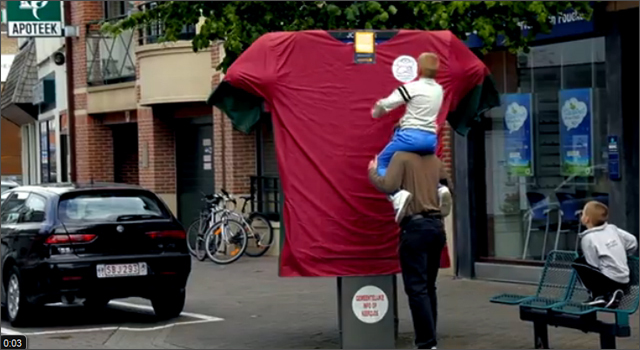 To drum up interest for the coming season, cable company Telenet created a giant version of the jersey for each of 16 teams, then placed them over billboards near each of the home stadiums. 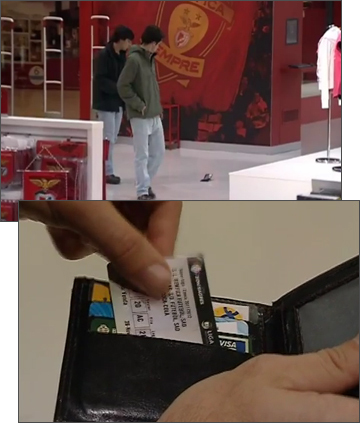 The first fan who dared to steal the shirt not only got to keep the giant team jersey, but they earned 5 free football tickets for their trouble. My kudos to the one legged guy who deftly used his cane to earn his prize. Watch the video to see the ingenuity of these jersey thieves. The campaign comes from TBWA, Brussels. For the past month 16 teams have battled to make it today’s final of Euro 2012, and after all those games it’s come down to Italy versus 2008 champions Spain. Throughout the tournament, McDonald’s Passion-Meter site has been capturing the screams, shouts and cheers of support from fans around the world. The Irish team made have no wins to show for their effort this year, but they lead the passion-meter over all the other countries. 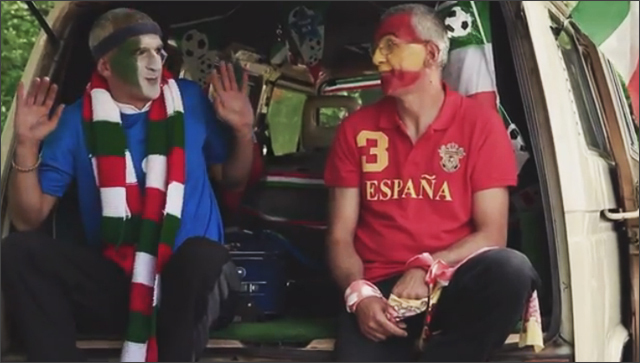 To commemorate the final, McDonald’s has created a touching story of Guido and Bellino, two Italian brothers traveling from their small town to Kiev for the big game. But Bellino carries a secret. The McDonald’s Passion-Meter was created by DDB Paris. In November Adidas launched an augmented reality experience to promote the new official Team Scotland home shirt at the Buchanan Galleries in Glasgow. 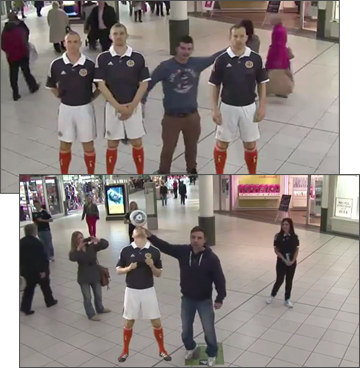 The experience allowed shoppers to interact and have their picture taken with members of the Team Scotland. Recent projects from National Geographic and Walt Disney have raised the bar for immersion and interactivity in AR experiences. Considering how amazed everyone was with the Lynx Fallen Angels AR campaign in London earlier this year, it will be interesting to see in which directions this technology will unfold in 2012. Let’s hope if 8-bit pixelated aliens ever do attack the earth in nice organized rows, that we’ll have more than professional football players to protect us from certain doom. Four members of Chelsea FC; David Luiz, Branislav Ivanovic, Paulo Ferreira and Nicolas Anelka, were challenged by online sports book provider 188Bet to battle a building-sized version of the classic 1980s video game. 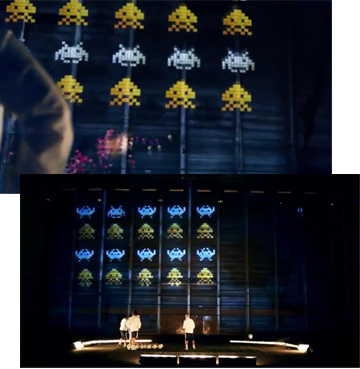 The video game was projected on to a warehouse wall in Battersea, London and the four footballers took turns kicking balls at the attacking aliens. We’ve seen a lot of these 3D projections over the past few years, but few have featured interactivity from real world objects. This example raises the ante for other projection installations. Nicolas Anelka came out on top and won £1,500 to donate to a charity of his choice.